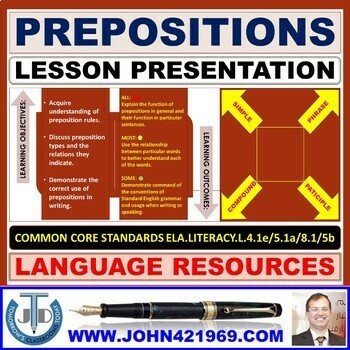 A lesson presentation that presents teaching and learning resources on prepositions. 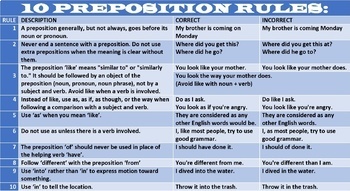 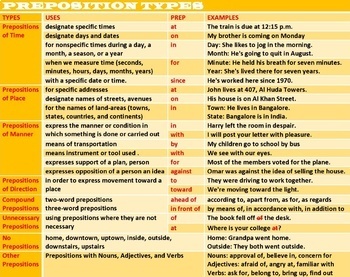 Discuss preposition types and the relations they indicate. 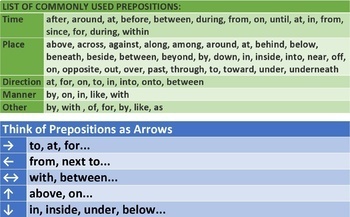 Demonstrate the correct use of prepositions in writing.